McAfee endpoint security issue exploit prevention is not responding ? 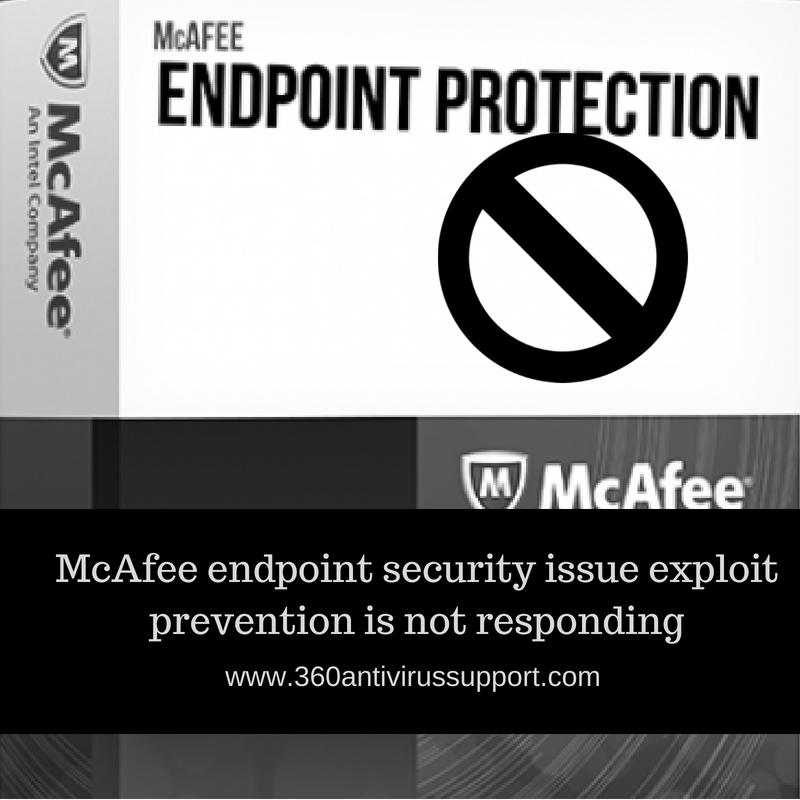 What is McAfee Endpoint Security endpoint security exploit prevention? McAfee Endpoint Security Exploit Prevention is a part of McAfee’s Threat Prevention Module. It helps in proving a wide coverage to our computer or any such mobile devices against viruses, malware, spyware, Trojans, etc. It is an advanced feature McAfee and makes our device less vulnerable to various malicious files and folders. It is updated once in a month and the updates required by Exploit Prevention is determined by the highly experienced research team of McAfee. The Exploit Prevention is nothing but an advanced version of McAfee Virus Scan Enterprise. DEP: DEP stands for Data Execution Prevention. It is a part of Endpoint Security Exploit Prevention that protects Microsoft Windows from being attacked by any corrupt files. It also allows proper utilization of the memory by the system. Kevlar: Kevlar uses an ActiveX control to protect the web browsers and various other applications of our computer system. It uses kill-bit security to make our device less penetrable to a virus. Suspicious Caller: Sometimes attackers are capable of inserting malicious codes in the memory of the system by various techniques. To counteract these activities, we use suspicious caller. GBOP: GBOP stands for Generic Buffer Overflow Protection. Buffer overflows refer to the mistakes made by a programmer while writing codes to enable proper security of the system. The hackers take advantage of this situation and try to penetrate the user’s system and insert malicious files and folders into it. The Generic Buffer Overflow Protection is used to protect our device from such situations. There are two levels of protections which are available to us and they are Standard Protection and Maximum Protection. The Maximum Protection is only used during extreme conditions. Sometimes the Exploit Prevention Fails to respond properly. On enabling the Exploit Protection, we see that our system gets hanged and we are unable to work on our device any more. In such cases, it is advisable that you disable your Exploit Prevention for the proper functioning of our system. Steps to resolve McAfee endpoint security issue exploit prevention is not responding? Log on to ePO console software by giving the log-in credentials which we have got when we had purchased our software. Double-click on Exploit Prevention from the Category drop-down list. In this way, we can disable the Exploit Prevention. Once our system starts functioning properly, we can once again try to Enable it and start working on our device.